Asked if he had a favorite in the race between Gov. 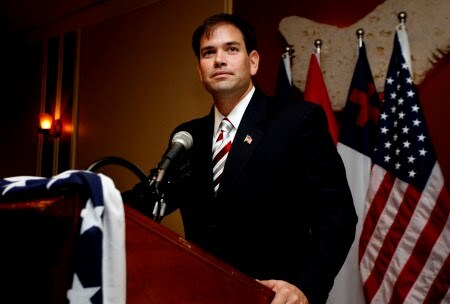 Charlie Crist and Marco Rubio for the U.S. Senate, Bush said he did not. “I admire both of them,” Bush said. But Bush then went on to praise Rubio as having a great life story and is being very articulate. Bush said national party leaders should not be trying to push Crist as aggressively as they have. He said Rubio deserved a fair shot against Crist in a primary. I agree totally with Jeb Bush about the NRSC endorsing Moderate Charlie Crist before even giving Marco Rubio a chance. Things may be swinging in to Marco Rubio's direction. There is a grassroots "pulse" that is starting to emerge and make themselves heard. They are rejecting "politics as usual" and are getting more involved.